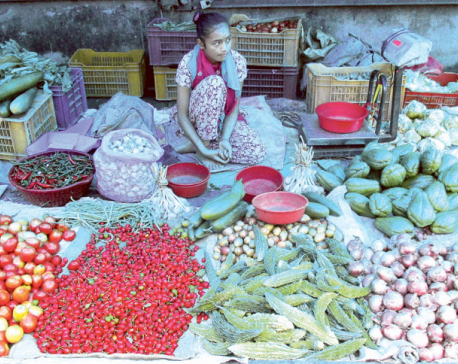 In the Nepali context, there is direct link between agriculture and poverty reduction. Nepal is still heavily reliant on agriculture and rural folks are mostly engaged in agriculture for their income. In fact, agriculture is the principal occupation of more than 60 percent of the country’s labor force. Of the country’s total income, 48 percent is related to farm activities, while 52 percent comes from non-farm sources. But although agriculture is playing a crucial role in poverty reduction by employing the poor and the unskilled, it is difficult to calculate its exact contribution. The impact of agriculture on poverty reduction depends on several factors. Furthermore, agriculture also contributes to poverty reduction by stimulating growth in secondary and tertiary sectors. 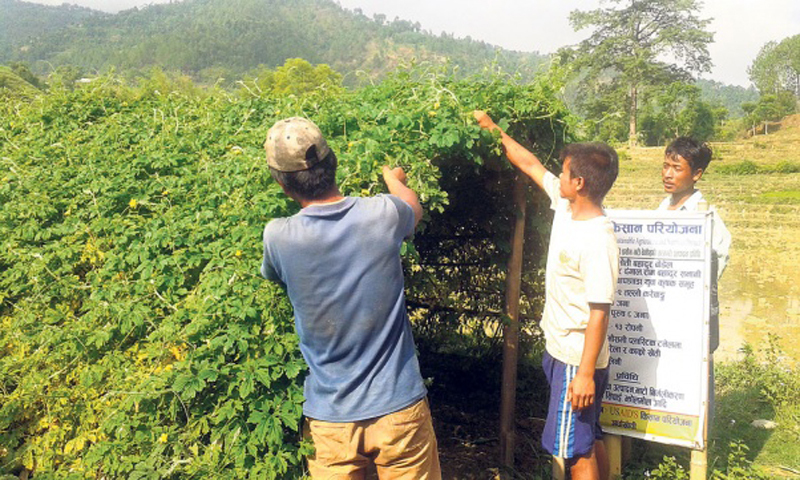 Nepali agriculture is dominated by smallholders, and the growth of this sector in the past 10 years has been a modest 3.2 percent. Under the pressure of population growth and division of family farms, the average size of landholdings has been steadily falling. While the percentage of the total holdings operating less than 0.5 ha of land was 40 in 1995/96, it is 50 percent now. These small farmers may not be wealthy. But they can certainly work to reduce their poverty, to improve their livelihoods and be more self-dependent. The government has been carrying out poverty reduction activities with these people in mind since 1970s. In fact, poverty alleviation has been the most prioritized government agenda since the 1990s. Poverty reduction was one of the main objectives of the Eight- (1992-1997) and Ninth-Five-Year Plans (1997-2002). The tenth, also known as the Poverty Reduction Strategy Paper (PRSP, 2002-2007), clearly mentioned poverty alleviation as the country’s single big objective. Long-term targets and development indicators were set accordingly. As a result, as per the Millennium Development Goal Progress Report 2013, yearly poverty reduction rate was 1.5 percent between 1996 and 2004; climbing to 2.5 percent between 2004 and 2013. The poverty reduction programs, which are mostly agriculture related, have been implemented by various agencies such as government ministries and departments, cooperatives, NGOs and donor agencies. Hence there is always an issue of coordination among these agencies. There are also institutional duplications, especially in social mobilization and group formation for specific interventions. The agencies implementing agriculture related programs without cooperation with the ministry of agriculture face many technical problems as well. The Ministry of Federal Affairs and Local Development has also been implementing several rural poverty alleviation programs. Its Local Governance and Community Development Program (LGCDP) is supported by 15 donors. The Poverty Alleviation Fund (PAF), established in 2003, is implementing special poverty targeted programs involving the poor and disadvantaged groups and is financed by the government through the World Bank. Most of poverty reduction programs of PAF are agriculture related but it does not have adequate agriculturists to back-up these programs. Similarly, many programs of the Ministry of Women, Child, and Social Welfare related to agriculture are also directed at poverty alleviation. This ministry also faces the same technical problems. The Micro-enterprise Development Program of UNDP is also creating employment and income opportunities for the rural poor by providing skill and business training and other support. But although there are many I/NGOS working for poverty reduction, most of their programs are focused on inputs rather than tangible results. They are more concerned with receiving and allocating funds. Most wage-employment and self-employment programs of the Ministry of Agriculture are targeted at rural poverty, as the prevalence of the poverty is high in rural areas. Goat farming and bee keeping on small scales, for example, create self-employment and generate income for poor farmers unable to invest in other subsectors. Poor rural women are also playing important roles as unpaid family workers in these endeavors. Cereal crops and vegetable farming integrated with livestock is a characteristic feature of Nepali agriculture. In such subsistence agriculture, family labor, exchange labor and hired labor are extensively used. In commercial farming there is great involvement of hired labor. The vegetable sector has an immense poverty reduction potential because of its high productivity, quick returns and unmet domestic demand. The sector also has high the potential to benefit disadvantaged communities. Similarly, livestock is important for producing nutritious food, and for generating income and employment. But ultimately poverty reduction calls for full employment for the poor with decent wages. For this, high-tech farming along with crop diversification is required. People in Nepal still rely on traditional farming methods and so productivity is low and farming activities seasonal. To increase productivity and provide full employment, there should be greater use of modern technology. Equally important is ensuring poor people’s access to land and other production inputs, which in turn will increase both their income and consumption. Promotion of micro-enterprise in agriculture, likewise, has been identified as a tool for reducing poverty of women and disadvantaged groups. However, all the agencies involved in implementation of agricultural programs for poverty reduction are not using locally available technologies. That is why their programs are not effective. Unless farmers are motivated to take up farming as a commercial enterprise by enhancing their entrepreneurial skill, poverty in Nepal cannot be reduced in a sustainable way.